The IDF and Shin Bet security service on Thursday said that they had in recent weeks foiled a major Hamas terror infrastructure that had planned to carry out bombing attacks in Israel. The group, based in Gaza, recruited terrorists in Yehudah and Shomron, trained them in planting bombs, and guided them on choosing targets where large numbers of people were present. The infrastructure was organized, in part, using the services of Gaza residents who were getting medical treatment in Israel. According to the Israeli security officials, the infrastructure was “different than others uncovered in recent years, as it had a much greater scope and greater potential for damage. The infrastructure aimed to create a new reality in the center of the country, following as a model the activities on the Gaza border. The operation was directed from the highest echelons of Hamas in Gaza,” the officials said. Previous Hamas terror infrastructures had been organized by Hamas terrorists released from Israeli prisons in the Gilad Shalit deal, and those infrastructures had fewer resources, they said. In order to communicate securely with operatives in Yehudah and Shomron, the Gaza organizers utilized the services of Gazans who had received permits to get medical treatment in Israeli hospitals, as well as business people who were in touch with colleagues in Palestinian Authority areas and who received permits to enter Israel or PA-controlled areas for business purposes. “This is not the first time Hamas has used Israel’s humanitarian policies to carry out terror attacks in Yehudah and Shomron,” the Israeli officials said. Among the individuals involved in the plot, the officials said, was a 53-year-old Gaza woman, a mother of nine children, who was being treated in Israel for cancer. She was accompanied by her 47-year-old sister. In August, the two met with Hamas operatives in Ramallah and delivered information regarding the development of a terror attack to their contact. 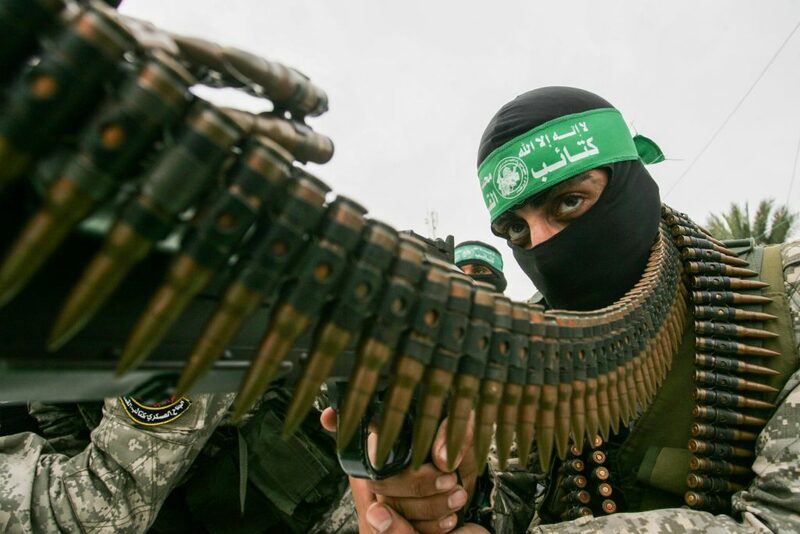 “The ongoing efforts of Hamas to engage in terror organization in Yehudah and Shomron, despite the ongoing failure of the group to do so, makes it clear that Hamas’s strategy is to create chaos in Yehudah and Shomron at all costs. These efforts are a clear and present danger to the safety of all residents in the area,” the officials added.